If you want to fail high school, don’t pay attention in class. Doze off, daydream, doodle, cut class—anything will work. Class is when the teacher will tell you what you have to know for tests and quizzes and inform you of homework. So if you don’t pay attention in class, the logical conclusion is you will fail the tests and quizzes and not do your homework, which will ultimately help fulfill your goal of flunking out. This is a big one. The best way to do a horrible job in anything is procrastination (trust me, I know). Leaving your big essay for the night before it’s due is the absolute best way to lower your grades. Not only will it be splattered with grammar and spelling mistakes, making it sound like a second grader wrote it, but after a sleepless all-nighter you will be exhausted the next day. This will lead you to not paying attention in class, the first fail-proof way to fail. One might call it a vicious cycle, but as this is a list of ways to fail, then it’s more of a beneficial cycle. This goes hand-in-hand with procrastination, as procrastination leads to sleepless nights. It’s common knowledge that your body needs sleep. If you don’t sleep at night, your body will take over in the day and fall asleep by itself. Even if you manage to fight the sleep off, you’ll still be groggy, grumpy, and in no mood to take notes or study—which is the objective, right? Only the most determined to fail high school do this one. And very lazy people. It’s a step above procrastination. This ties in with #1. The difference is that this is a purposeful neglect of homework and studying, whereas the first is an accidental yet willed ignorance. If you don’t do your homework at all, then you will eventually get a zero, plus whatever disciplinary action your school has in place. Not studying will lead to bad grades, unless you know everything, but if you do, then why would you want to fail high school? Without a doubt, this is the best way for even well-meaning students to fail. Technology is a trap that every single person has fallen into. 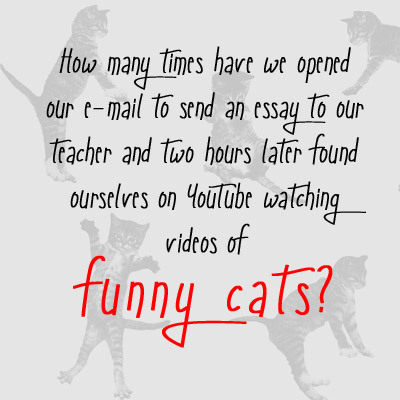 How many times have we opened our e-mail to send an essay to our teacher and two hours later found ourselves on YouTube watching videos of funny cats? Or picked up our phones to look up a word and found ourselves stalking our classmates on Snapchat? These mindless, time-consuming activities will oftentimes lead to staying up till 2:00 in the morning, not starting homework till 4:00 in the morning (if at all), and not paying attention in class due to lack of sleep. Technology is the way to fail. So you’ve been following these guidelines to the letter and it’s working great. You’re failing all your classes (except for that one class which is impossible to fail, because the teacher curves every grade) when you suddenly realize that you need to get good grades in high school in order to get into a good college, and you need to get into a good college in order to get a good job, and you need to get a good job in order to get a good salary, and you need to get a good salary in order to live a good life . . . Suddenly failing high school does not seem like the way to go. It’s the last week of the quarter, so you run to all your teachers and beg for extra credit. Maybe they’re nice and give you some, but by then it’s too late. You’ve followed the fail-proof ways to flunk high school. And, for better or worse, they are fail-proof. Congratulations, you have failed high school. For those extremely determined future Whataburger workers who aren’t satisfied with just six ways to fail high school, here’s a seventh: write an article about the six fail-proof ways to flunk high school instead of studying for your history test tomorrow. I’ve been adhering to that one flawlessly. There are so many other things that can be added, but it mainly boils down to a lack of sleep and a lack of focus on school. Even doing something good and productive, like writing this article, can be detrimental to my grades for lack of focus on school, which should be the priority. SCHOOL IS THE PRIORITY (that’s to those who don’t want to fail high school). If you fall under the category of those who want to pass high school with an awesome GPA so that you can get into a good college, and get a good job, and get a good salary, and basically have a good life, then this is also the list for you. Simply do the exact opposite of these six steps and you will breeze through high school and be prepared for college. There you have it. The list that is simultaneously a way to fail and a way to pass. For your own good, I suggest you look at it as a way to pass. Have any other ways to fail high school that I didn’t mention? Feel free to add to the list in the comments.